Weekly Quick Tip From Organizing Lives. Parents of adult children, please sit down. We have some harsh news for you. Your kids don’t want your stuff. Don’t take it personally. It’s not that they don’t love you. They don’t love your furniture. The china hutch, the collectible figurines, your antique thimble collection, the sideboard, all those family treasures may hold many precious moments for you, but for your kids, not so much…. Boomers are starting to recognize that their adult kids are living a more transient life in cities and living their lives free from possessions. Millennials even store their photographs and memories digitally. Their mantra may be “less is better”. All of the dust bunny covered boxes, assorted files and tubs of accumulated photos, trophies, collections of childhood art and graded school work unopened for years in Boomers attics and basements are no longer filled with stuff worthy enough for the next generation to keep. Perhaps one or two items may be special to them, but not a houseful. Ouch. Yes, we know you think you’re being generous. Yes, we know you paid good money for these things. Yes, we know kids can seem unappreciative. Yes, we know it was part of your family’s history. And, yes, we know it still contains some useful life. We also know that deep down, you believe your kids will change their minds. This topic hits home, so to speak, and became even more clear last week when, during a downsizing presentation at a local Senior’s Centre, one of the members (and one our devoted readers) stood up and shared this very idea with the group. Groans of recognition rippled across the room, and many nodded their heads in agreement, but did they really feel that way? their Beanie Baby collections, Grandpa’s stamp collection or any hand-me-down furniture and the cut crystal from Grandma’s house. Can this really be true? Apparently it is. It’s time to face the fact that your kids may not want what we have stored for them. Don’t believe us? 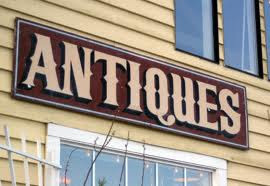 Walk through your local antique, consignment and thrift stores. They are overflowing with brown wood furniture, porcelain and china pieces, embroidered table linens, and marginal art. 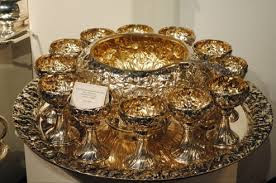 In fact, much of what our antique dealer, a long trusted resource, bought from our clients even five years ago, is of little interest today. We know we are on touchy ground, but to save generations of strife, we offer the following advice for deciding what to pass on or let go. 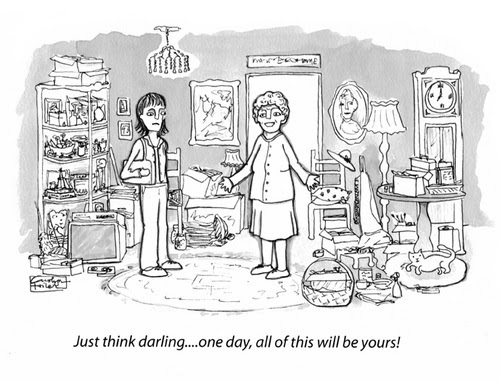 Ask, don’t assume: Do not fall into the lazy trap of thinking you will hang onto your stuff for the kids. Ask them what they want and get rid of the rest. Believe them: When your kids tell you they don’t want whatever it is you are foisting on them, honour that. Believing otherwise is really a delay tactic that allows you to postpone giving up stuff. So what if they look backin 20 years and regret not keeping Dad’s blue recliner? Let them live with the consequences of their decisions. Isn’t that a parent’s job? Your kids want to create their own lives: Just like you did. They also want their own style, not yours. Plus, many already have a household oftheir own stuff! Accept that stuff has a lifespan: When your kids rebuff your stuff, remember, your ___________ (fill in the blank) has served its useful life – for you. If it’s still useful, sell or donate it to someone who wants it. Times have changed: Many Millennials eschew fussy formal furnishi ngs, china and crystal and prefer to live smaller and lighter. Respect their lifestyle choice. They are practical: Most adult children will take furnishings they like if they can see it working for them. 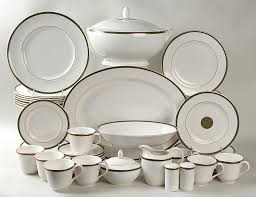 Maybe your china, but not because it’s meaningful, but perhaps they may happen to like it. Fair enough. If your daughter loves your bedroom set, which was yours as a girl, and was your parents’ when they got married, it’s great when that works out! Just don’t force it. Don’t guilt them: Please do not say things like: “When I’m gone, I want you to have my 12-foot mahogany dining room table and eight chairs.” The line between bestow and burden is blurry. They don’t need your furniture to hold you in their heart. Give them the gift of freedom.